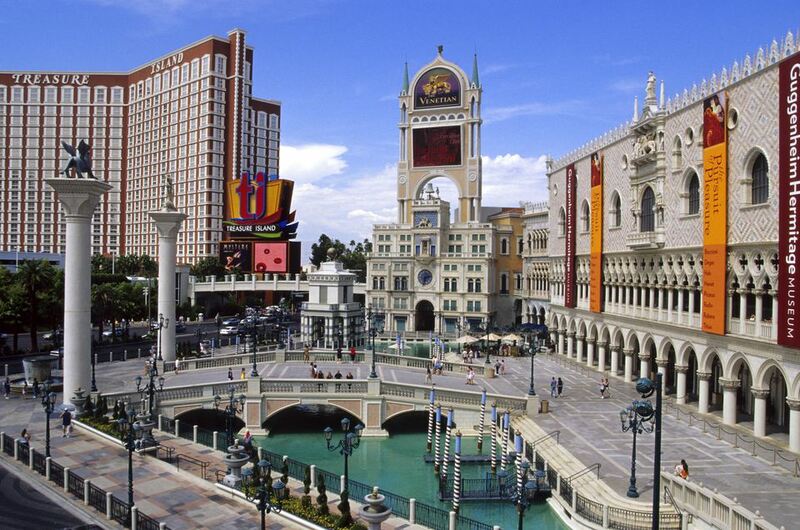 Food options at the Venetian and Palazzo Resorts in Las Vegas are in abundance so there is no shortage of choices. However, your budget might feel the pinch once you consider a few meals. The food court is the remedy. Two ample food courts exist at these resorts with one giving you plenty of options with all the well-known food court brands, i.e. hot dogs, pizzas, and sandwiches, and the second doing a better job of trying to get you some better quality with your convenience. The Venetian is a luxury resort, it has all the swanky elements that you look for in a place that does a good job of separating you from your money. The food court is the one place where they have done a good job of keeping the costs way down. This is arguably the best food court in Las Vegas, and you won't find the generic food court options here. The Grand Canal Shoppes Food Court is bigger and will look a lot like a mall food court so go there for convenience and value. Try Lobster Me for a good lobster roll and check out Prime Burger for a juicy burger. The food court that is actually just off the casino floor inside the Venetian is far better and worth a visit. At the Venetian Resort and Casino, the food court offers breakfast, lunch, and dinner, and has late-night dining options. Food options include cheap pizza and sandwiches, like a BBQ beef sandwich that is only $5.75 and turkey burgers that are $7. Paninis and pastries can be found at prices under $7. There are also plenty of options for meals under $10 that are better than typical food courts. Other hotels and resorts in Las Vegas offer their own food court options, but food courts are not the only way to get a good meal while in the area. Be sure to venture out and try some budget-friendly restaurants for something a little out of the ordinary. Not all of us are high-rollers, so when you are planning your trip to Vegas, keep in mind that there are ways to enjoy the city without breaking the bank. There are plenty of free activities available that can help you make the most out of your vacation while staying within your budget.